Onko sinulla kysymys kohteelle Harbour Plaza 8 Degrees? Kowloon City-nimisellä alueella sijaitseva Harbour Plaza 8 Degrees on ihanteellinen tukikohta, kun tutkimusmatkasi kohteena on Hong Kong. Tähän 4 tähden majapaikkaan on helppo saapua, sillä se sijaitsee vain 36.7 Km päässä lentokentästä. Tämä majapaikka sijaitsee suosittujen nähtävyyksien, kuten Cattle Depot taiteilijakylä, Kowloon City, Hong Kong Eye -sairaala sekä moni muu, välittömässä läheisyydessä. Harbour Plaza 8 Degrees tarjoaa moitteetonta palvelua ja kaikki olennaiset mukavuudet uupuneen matkaajan virkistämiseksi. Oleskellessaan tässä mahtavassa majapaikassa asiakkaat voivat nauttia mukavuuksista, 24h huonepalvelu, ilmainen WiFi joka huoneessa, 24h vartiointi, päivittäinen huonesiivous, lahjamyymälä sekä monet muut näihin lukeutuen. Taulu-tv, kokolattiamatto, naulakko, peili, tossut – esimerkkejä mukavuuksista, jotka Harbour Plaza 8 Degrees kätkee sisäänsä. Majapaikan ilmapiiri heijastuu sen jokaisessa huoneessa. Majapaikan vapaa-ajan aktiviteettien valikoima takaa, ettei tekeminen lopu kesken. Kun päämääränäsi on Hong Kong, Harbour Plaza 8 Degrees tarjoaa kaiken, mitä matkallasi tarvitset. Kuntokeskus on avoinna klo 6.00–22.00. Kuntokeskuksessa on tarjolla hieronta- ja kasvohoitoja. Varaukset on tehtävä etukäteen. Sviitissä on käytettävissä lisämaksusta täysin varustettu minikeittiö, jossa on ruoanlaittovälineet. – 1.10.–30.11. : avoinna klo 8.00–21.00. Aamiainen tarjoillaan vain 2 hengelle per varaus. Ylimääräisistä henkilöistä veloitetaan lisämaksu. Lentokenttäkuljetus on saatavilla 05:45-22:45. Varataksesi kuljetuksen, ilmoita majoituspaikalle saapumisesi tiedot etukäteen Erityispyynnöt-osioissa. Tuloaula koettelee tasapainoaistia. Liiankin modernia suunnittelua. Buukattiin hotelli verkon kautta tarjoushintaan! Hinta/laatusuhde siis hyvä! Hotelli on uusi, siisti ja hyvä oma suttle-bussi joka kiertää;bussiasema,juna-aseman kautta keskikaupungille n. tunnin välein.Henkilökunta on ystävällinen ja auttavainen asioiden suhteen. Sijainniltaan hotelli on vähän syrjässä mutta rauhallisella paikalla, taksimatkan päässä Kowloon ostospaikoilta. Hotelli käy myös lapsiperheille ja liikematkailijoille kunhan muistaa etäisyyden ruuhka-aikana. Hotellin yleispalvelut riittävät. Muutaman kerran ei taxi löytänyt osoitetta mutta jos haluaa kulkea yleisillä busseilla niin pysäkki löytyy jopa samalta kadulta. Location is excellent. Room size and facilities are good. Poor wifi and keep dropping in the room. Thank you for staying at Harbour Plaza 8 Degrees. All your comments are greatly appreciated and will be considered as vital and important for maintaining and improving our products and service. If you are not familiar with Hong Kong, it could be a bit challenging to locate as it is surrounded by local residence, but on the bright side, you get to explore deeper and experience what living in Hong Kong is like. Hotel staffs were friendly and accommodating to our enquiries and needs. They even made suggestions to improve our quality of stay, which we appreciated. The rooms are bigger than our expectation and they looked more like studio apartments than generic hotel rooms. They have a nice pool and a decent fitness centre. 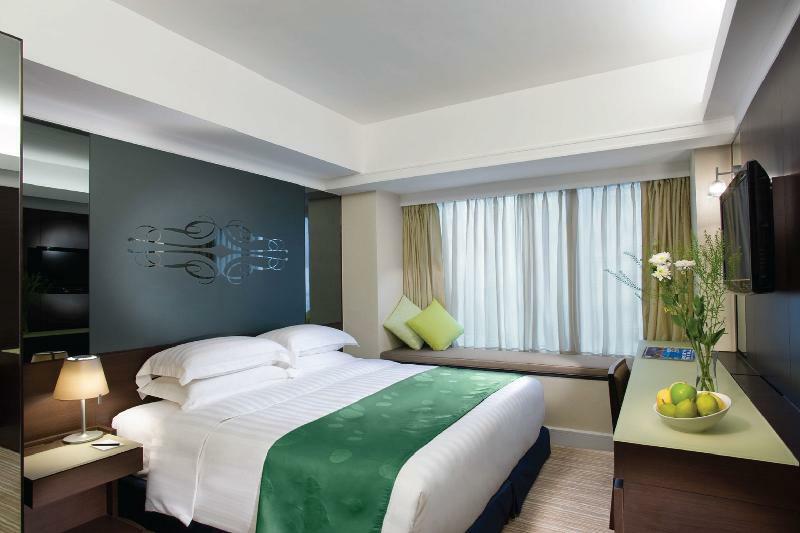 Recommend to stay if you are looking to stay at an affordable hotel with facilities. Room is clean and size is not bad compare to other HK hotel rooms. Shuttle bus is helpful. But need to be early to wait in line in case it could be full. You would need to take the next bus or take public transportation by yourself. Beautiful swimming pool and comfortable beds. The breakfast was very good and had a large variety of food choices. The staff members were helpful. Our only complaint is that we had a shower drain backup issue that caused us to have to stand in shower water, which was addressed but never fixed. We had tI keep the water pressure very low to minimize standing in water. Otherwise all was good. The shuttle to the city center was easy enough and the distance good to have a quiet stay in HK. In all, we'd recommend this hotel! Randomly booked this hotel based on its room size. Our frst time to Hong Kong and our stay there was upgraded to a suite room. Thank You! Spacious and convenient with kitchen pantry. Hotel serves Halal food, which is a big plus for Muslim travellers. Indian restaurant, a convenient store, money changer and fruit stalls also available just outside nearby the hotel. Wifi is Good. Concierge is very helpful in giving directions and recommendations for places to visit. Will definitely stay there again! Nice hotel. A problem is that when tour groups arrive or depart, reception can be very busy, creating long waiting queues, and the lobby would be crowded with exciting group travellers, good thing is most of them are from Japan or Korea, so less noisy. Room is decent and good. The neighbourhood is less touristy and relies on buses for traffic link. No metro. Overall good. Quality is definitely worth the room rate. The receptionist and room amenities guy are friendly and their service is up to standard. The shuttle is good. Morning buffet has a fair bit of choices but the quality for deli is just alright. However, I didn’t enjoy staying in the room. Even though I had tried to turn up the air con for ventilation , a kind of stuffy old smell didn’t go away . And for the fridge, it was worse. Because the air con is quite noisy, I had to turn it off at night and sleep with the smell. Hope that the hotel could do something about it. Hotel room- Room is bigger than most HK accommodations. There’s a shower and tub but no bidet. Bring your own toiletries since the shampoo and liquid soap are just in wall-mounted dispensers, and smell very generic. Beds are comfortable and pillows are soft. The rooms provides for all of my basic needs in a room. Location-residential area in Kowloon City. Lots of local restaurants, convenience stores, laundromat nearby. There’s a McDonald’s, KFC, Cafe de Coral, 7-11, Watsons and several grocery stores. The distance from TST is 15-20mins depending on traffic. It’s not bad especially if you plan to visit mostly attractions in Kowloon. The hotel shuttle service is also on time and reliable. I like the fact that it’s not very crowded. It’s very near Mongkok and Jordan. Staff- Everyone was very nice and accommodating. The shuttle driver seemed a bit gruff but it could just be the language barrier. He still tried his best to answer our questions. Front desk was helpful and responsive. Allocated room was on a smoking floor, I asked for a room change because it’s too smelly. Went down within 5mins and he gladly changed and upgrade me to a deluxe room with my request for a room near to the lift lobby as I am a sole traveler. I stayed in this hotel a couple of times due to the neighborhood. Very local, slightly away from bustling TST. It’s quit far from the city center and any MTR station actually, however the Hotel provides free shuttle Bus to Tsim Sha Tsui area. There are traditional market and supermarket just next block from the hotel. We booked a suite room, it’s spacy for small family, and also has kitchenette inside your suite room, but you have to rent the utensils as the pricelist is shown on the wall. Checking-in is fast, and they also provide express check-out so you only need to put your room key into the box at the lobby. Staffs are nice and be able to speak english. No need to worry for smokers, they have smoking available floor, so you can smoke inside your room. They make up the room very well. Good air circulation, smoking floor is also smelling good. My relatives are staying nearby so it's fine for me to stay at To Kwa Wan area. The room is clean and bigger than popular areas. It's quite convenient downstairs with lots of restaurants, 7 11, banks, drug store and local market. Can experience the old Hong Kong. Gym room is small, the pool is quite big, and have sauna. Good buffet at night with oyster, lobster. Staffs not all friendly, it depends on their mood. But will definitely stay here again. Whenever I go to Hongkong, this is always the hotel of choice! 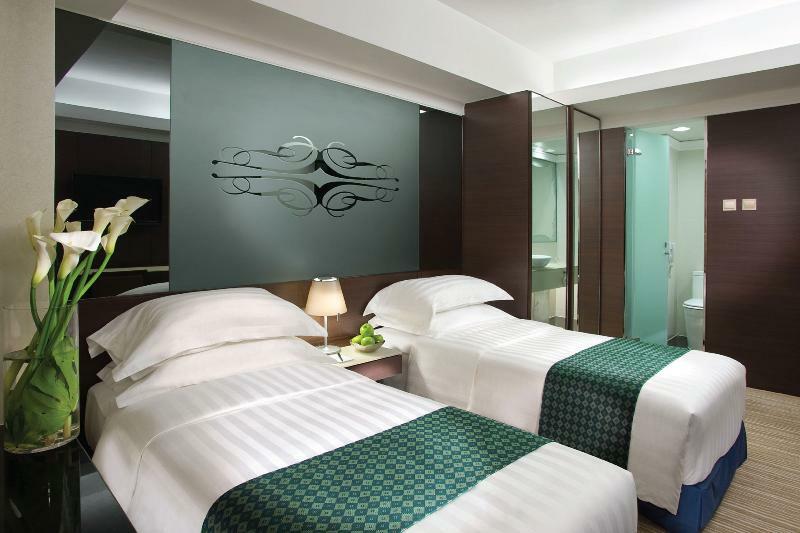 The Room is really spacious and the cost is very competitive compare to other hotel. Its no where near the city center so you might have to consider it if you are planning to stay more in the city area, aside from it I would really recommend this hotel. For me its almost perfect. It not well situated for most tourists because of no nearby metro/subway (though there are public buses at the door, plentiful taxis and a hotel shuttle), but for me visiting relatives nearby walking distance its fine. There are lots of moderately priced and very local eating options, so if you want to mingle with the locals instead of living in the middle of tour troupes and shopping malls, this is fine too. I booked ahead and the room rate is decent for the room size. Everything worked EXCEPT a SLOW SLOW SLOW internet. It took a minute to send an email and when I complained about this, staff said that its end of the month (I guess they used up the bandwidth or something). C'mon, this is Hong Kong and its 2015, even my cell has faster signals and this is the slowest in the many hotels I have been to. If the hotel solves the internet access issue, I have no problem staying here again on my next trip. We have been staying in this property for the past few visit.We have good comments.This visit the only set back is the unpleasant smell from the toilet. Hope that the hotel management to do more on the cleaning for the rooms. We choose this hotel again and the service plus the clean quiet rooms does not fail us. Moving around by public transport is easy. Free transport to Tsim sha tisu. I will recommend my friends to stay here. Rooms were spacious enough for a family, the swimming pool was great, and the dining options were good. It's a bit outside the main areas, but there is a reliable shuttle bus that takes you from the hotel and back. Overall it was a great stay. Ho Man Tin MTR Station on 1.71 km.